It was supposed to be a simple job. All Lucy had to do was deliver a mysterious briefcase to Mr. Jang. But immediately Lucy is caught up in a nightmarish deal where she is captured and turned into a drug mule for a new and powerful synthetic drug. When the bag she is carrying inside of her stomach leaks, Lucy’s body undergoes unimaginable changes that unlocks her mind’s full potential 100%. 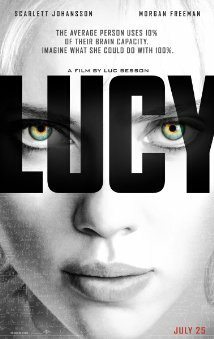 With her new-found powers, Lucy turns into a merciless warrior intent on getting back at her captors. She receives invaluable help from Professor Norman, the leading authority on the human mind, and French police captain Pierre Del Rio. Category: Akcija, ANDROID, FILMOVI, NOVI, and Sci-Fi.